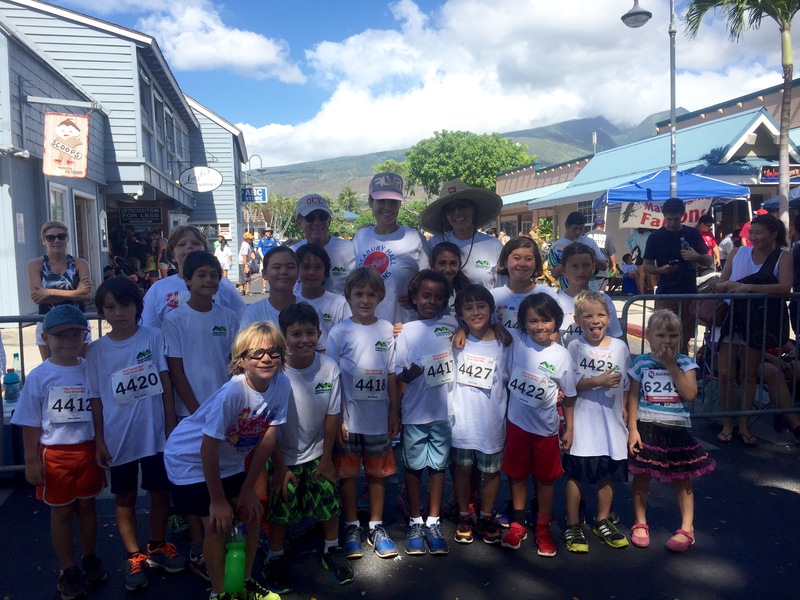 The Mustangs are the Montessori School of Maui’s interscholastic sports teams. Ages of participation vary according to county guidelines for the various sports, and are clearly defined for each specific sport team. Participation does not generally begin before Lower Elementary. We aim to have games scheduled against other schools that share our philosophical approach to sports and against whom we are fairly matched. Teams have competed (depending on participation numbers) in cross-country, volleyball, basketball and flag football. Win gracefully and lose gracefully. Winning is usually more fun, and we like to win; but the young athlete learns about life by experiencing both outcomes. We encourage all eligible athletes (age ranges outlined by each sport) to come out for the team. We rely on volunteer coaches, and are often limited to team size by outside regulations. Should there be more participants interested than the regulations or coaching team can accommodate, we make every attempt to have multiple teams. It is our design to give every player playing time, and playing time will be based on practice attendance and effort at practice. We practice and play after school hours, and assume that team members want to be at every game and every practice. We encourage full and consistent participation because that is better for both the individual player and the team. Read the list of priorities above. These are the values we uphold with our student athletes and we ask you to support them.